Pet Emergency? Call us right away at (760) 634-2022! 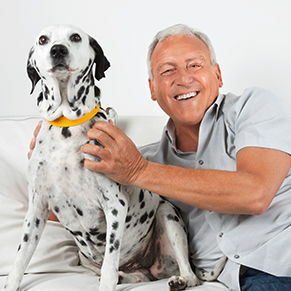 At All Pets Animal Hospital, we recognize the strong bond between people and their pets. After all, we have beloved animal family members of our own. Therefore, a commitment to comprehensive care for ALL companion animals is the cornerstone of our practice. We continually seek out new treatment options to provide our patients with the finest possible care at a reasonable price. But the best medicine is preventative medicine. 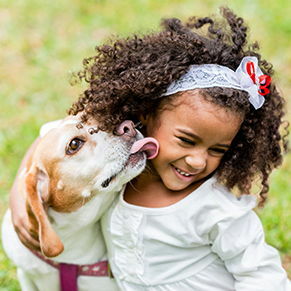 We want to educate you with the information that you need to protect your pet’s health for their entire life. Our goal is not only to provide high quality, compassionate care for our patients, but to provide owners with information on how to keep their pets happy and healthy. We encourage you to browse our site, particularly the informational articles. 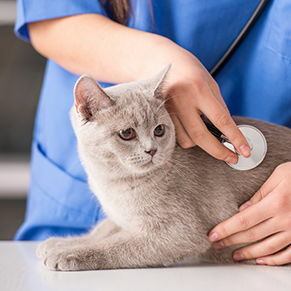 The best veterinary care for animals is ongoing nutrition and problem prevention, so becoming knowledgeable about preventative pet care is essential to the ongoing success of your animal’s health. If you have any questions, call (760) 634-2022 or email us and we'll promptly get back to you. Our Encinitas veterinarian office is very easy to get to -- and you can find directions on our Contact Us page! We also welcome you to subscribe to our newsletter, which is created especially for Encinitas pet owners. At All Pets Animal Hospital, we treat your pets like the valued family members they are. Get To Know Our Online Pharmacy! Dr. Brian Loudis has been a practicing veterinarian for 16 years. After receiving his DVM from Colorado State University in 1990, he moved to San Diego to work at a busy small animal clinic. 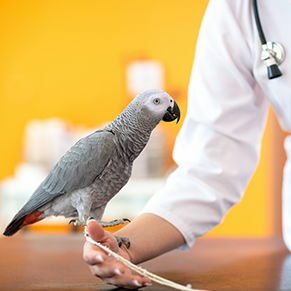 A three-year residency followed at a hospital specializing in Avian and Exotic Medicine. Dr. Aaron Lamoree received his Doctor of Veterinary Medicine degree from the UC Davis School of veterinary Medicine in 2001. After graduation, he went on to complete a one-year internship at the VCA Emergency Animal Hospital and Referral Center in San Diego. During the internship, he focused on emergency and critical care, cardiology, internal medicine, and surgery. Neal Forman grew up in West Los Angeles and has lived in California ever since. He has always loved animals and started working at a small animal hospital in West Los Angeles while finishing his undergraduate studies obtaining a BA in Biology at UC Santa Cruz. It was while working in West LA that he met his future wife, Genny. Dr. Murillo attended Cal Poly Pomona to obtain her Bachelors Degree in Animal Science and further went on to receive her veterinary degree from Western University of Health Sciences in 2017. Dr. Murillo has just completed a 1 year internship with the San Diego Humane Society, where she has been trained through their rigorous program in shelter medicine and high quality, high volume spay and neuter. Dr. Hayles is a long time San Diego resident, completing a Bachelor of Science at UC San Diego in Animal Physiology and Neuroscience in 2000. He completed the DVM program at UC Davis in 2006. Dr. Justin Greco, DACVS is a Board Certified Veterinary Surgeon providing mobile surgical services to select veterinary hospitals in San Diego county. We are proud to be able to offer his services to our clients in the comfort and care of our hospital. "I am so pleased to become a patient of this wonderful clinic; Dr. Lamoree is extremely knowledgeable and takes the time to explain options and in terms understood by me. I will recommend this clinic to all of my friends with pets. Thank you for your caring."